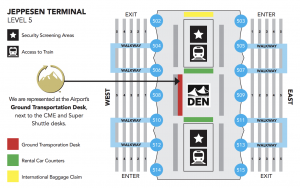 Vail Private Airport to Mountain Transportation Service to and from Denver Airport and Eagle Airport is available 24 hours a day with Plan B Mountain Transportation. Private luxury vehicles provide ski resort transportation between Vail, Denver Airport, Eagle Airport, and all locations within Colorado. Photo: Vail is massive and is a giant resort experience like no other. 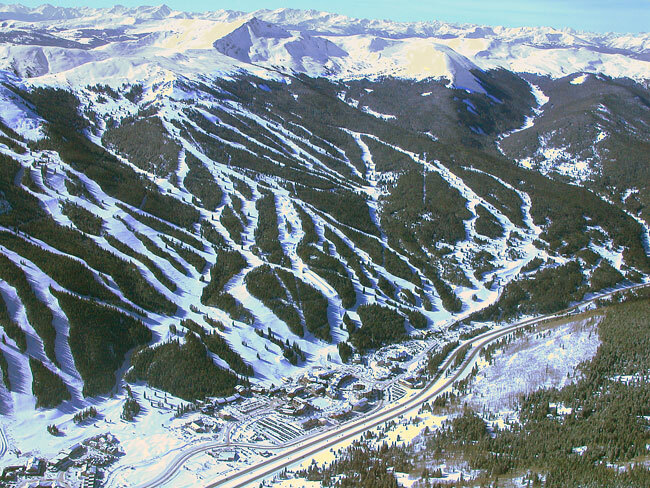 A portion of Vail’s terrain can be seen in this photo taken 1000 feet above the resort. Plan B Transportation can deliver you directly to any of the hotels or resort destinations in the town of Vail seen at the bottom of this photo. With over 5200 acres of groomed terrain and lift serviced back country skiing and snowboarding in Vail’s enormous back bowls, Vail is the king of terrain diversity in the Rocky Mountains. A beautiful European style village sits at the base of the resort. World-class extravagant shopping and dining opportunities are available along with numerous casual shops and restaurants. Vail Mountain Resort official web page. Plan B Colorado Mountain Transportation offers custom private mountain transportation service to and from Eagle County and Denver International Airports to Vail and Beaver Creek for any size family or group. Each of our Mercedes-Benz Sprinter luxury vans feature seating for up to 11 passengers with full luggage and plenty of room for everyone’s ski & snowboard equipment. 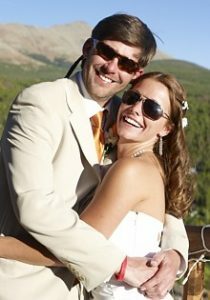 Additionally, Plan B Transportation provides local around town transportation services between Colorado area resorts and dinner transfers once you have arrived in Vail. Let our experienced drivers carry you over the mountain passes in our private, luxury charter vans to Vail or other nearby resorts including Beaver Creek, Breckenridge, Copper Mountain, and Keystone.